Used water color paper and Gelatos to do some water coloring before it dried I used some table salt to add some effect to the watercolor. I was antsy because a the scrap-a-thon for NSD14 and accelerated the drying with my heat gun. I have heard this takes some of the effect away from the outcome of the project. Then did some stenciling. and used some modeling paste. 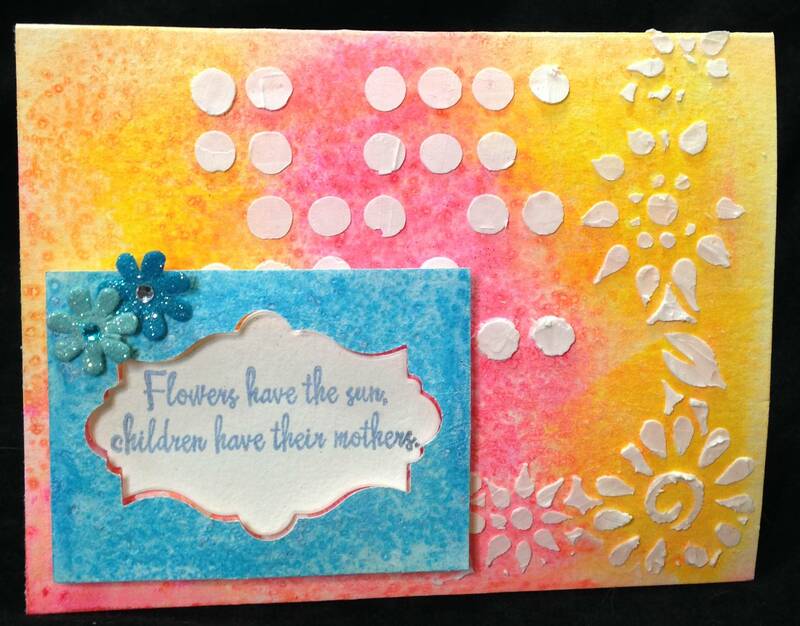 I did the same for the sentiment layer and then just threw some flowers on it. It’s bright and springy. Didn’t turn out too bad.